Some of the products are listed as being on backorder. If I place an order today, will the entire order ship at once when backordered items become available or will I receive separate shipments? Home / Some of the products are listed as being on backorder. If I place an order today, will the entire order ship at once when backordered items become available or will I receive separate shipments? 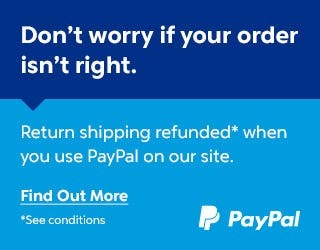 Most backordered items are back in stock in a reasonable time, i.e. between one and three weeks. As long as the delay is less than three weeks then the order will be shipped as one package as soon as all items are available. Should the delay become more than three weeks, then we will contact you to see what we can do. By default, all orders are shipped as one package. Previous post: Will the seat protector fit my harness? Next post: When will my goods be shipped?